Share the post "Top 5 Tips For New Bloggers"
I’ve been happily blogging away here now for nearly two years. I love it now as much, well more actually, than I did back then, and I like to think that I’ve picked up a thing or two along the way. I find other blogs to be inspiring, chats with other bloggers, and Pinterest is an endless source of help, too. In fact, I have a Blogging and Social Media Tips board there, which you may find useful to follow. If you’re wanting to have a blog that does get read, that can grow and that you enjoy, then I’m hoping I can help here. I have written plenty of blogging tips posts, and of course I’d recommend having a good read through those when you can, but I appreciate that you don’t have all the hours in the day to devote to this and it can be really daunting to attempt all things at once, and nigh on impossible, too. I could go on and on and on sharing lots of ideas and pointers, but you need to just start somewhere, right? So today I’m sharing the top 5 things that I think you should prioritise as a new blogger and get straight early on, along with pointing you to a bit more detail if you want it. You can write the greatest content in the world, but if no-one can read it, why publish it? Make sure that your blog is reader-friendly. Pale and arty fonts or bright and bold backgrounds may look beautiful, but can people read it easily enough to keep on reading and come back for more? Ensure that the theme you have chosen is mobile responsive, as so many people read on their phones now and Google is also now taking this into account. And if you want people to comment, too, I’d always recommend removing captcha. When you start out, you may invite people to visit you, or curiosity may lure them over, so make that first impression a good one. – Have a presence on the main social media platforms. A presence. You don’t have to be active on all of them all of the time, as that’s really tough to do. A lot of bloggers can be found over on Twitter, and you’ll find that a great place to chat and share, so if you’re going to pick just one to get going with, I’d recommend starting there. If you go for that, do chat and interact with people, don’t just link drop, and do share other great blog content that you enjoy, too. The post 10 Social Media Tips for Bloggers should help explain more here. – Make it easy for people to find and follow you socially. When I visit a blog, I like to see the social buttons and links prominently, rather than having to hunt for them. Equally if you’ve written something I’d like to share, make that easy for me to do so. – Find some linky parties that you like and stick to them for a while. It can be easy when you first get going to want to join in with any and everything, but I’d recommend finding a few that fit well with what you want to blog about, or that are convenient around your schedule (for example, if Friday is your blogging day, then choose a linky that day so you know you’ll have time to join in properly). These allow you to get yourself known early on and find other bloggers that you can read and enjoy, which are then endless sources of inspiration. Comment on other blogs, build up relationships that way. Don’t be a slave to them, just use them to your benefit. I do happen to host one here every week, too, Word of the Week, along with my books and stationery-loving monthly Papery Peep. There are loads of them around, so find some you like and have fun with them. Here’s 10 Tips for Participating in Blog Linkies. People like to know you. That doesn’t mean you have to write emotive pieces all day long or share everything inside your head, it just means we want to know a bit more about you. Perhaps a photo in your sidebar, a well-written and easy to find About Me page (these are so often neglected and it’s such a huge missed opportunity – here are a few tips on getting something interesting on that page), and inject your voice and thoughts into what you’re writing. If you’re hoping to be in this for a while, I would recommend going self-hosted as early as possible, and if you’ve yet to start at all, then start there. Most bloggers will want to switch to self-hosted at some point, so you might as well start there! Do check that your blog name isn’t taken on social media as well as domain-wise. And if you can, make it a little different, personal to you and memorable. If you have a long term goal or ideal in mind, do think about what you’re writing and whether it fits with that. Blogs are ever-changing, which is part of the appeal for me, but it’s just something to bear in mind. Blogging is freeing. You write what you want, you connect with like-minded people, you talk and have fun with social media. I will warn you now that at some point, you will probably get drawn into stats and rankings, and my advice on that one would be that if you’re wanting to set targets and be competitive, do so with yourself. I work to improve on my own space here, as I can only really control that, not what everyone else out there is doing. You may also fall out of love with it at some point, so just step away for a bit, and come back when you’re refreshed again. These tips might help when you’re hitting a wall, too. Have fun! I do hope this helps, and you can always email me of find me over on Twitter if you’d like any help with anything. What would you share as an initial top tip? These are really good. The being present on social media is something I was struggling with but think I am getting better. My biggest struggle is finding time to read other bloggers work which I know is key but I am working on this. Thank you. It does take time to get a handle on it all, so just one thing at a time! And yes, it’s great to interact and read other blogs, too. I wholeheartedly agree with all of these, although after 8 years I still haven’t taken the plunge to go self-hosted! Your final tip about enjoying it is so important. I read so many bloggers who complain about how the ‘business’ of blogging is wearing them down. There’s nothing wrong with dialling things down, even if it’s just a temporary measure to recharge, and yet it can be such a difficult thing to slow down or step off the treadmill for a while. Unless you’re a full-time blogger, blogging should never feel like ‘work’. I go through phases where I do more and times when I do less – most weeks I will work deep into the night on weekends, but I also try to schedule in a couple of ‘quiet days’ every month where I commit myself to write nothing and minimise social media which, given that my average monthly output is 35-40 posts across a variety of different blogs, takes no small amount of self-discipline! Thanks, Tim. It is really hard to step away, I find, from producing content and the social media side, which can make it hard to switch off. I’m like you, when I’m in the right mood I’ll get loads done, then other days I just don’t feel like writing, but fortunately, I scheduled stuff in from when I did. Enjoying it is key, though, otherwise why keep going? Wish I’d read this when I started my blog, Jocelyn! I definitely agree with starting self-hosted, I only switched recently and I feel confident to draw attention to my blog now – before I think it just looked a bit amateur hour but didn’t have the tech skills to sort it out. Point 5 is definitely the key! Thanks, Jess! Oh yes, you just have to enjoy it, and let the comparisons go over your head, too, or you’ll go mad! Some great ideas n tips there Jocelyn. I don’t blog to get the stats etc. I blog for me. When I have time. Move of a diary for me. I only link up with a few linkies I feel comfortable with and have the time too. Yours being one of course. I admire so many of you lovely ladies n gents that blog full time and enjoy reading them. A lovely post, I am a new blogger and posts like these really help. Thanks. I love joining up with linkys and regular join in with Word of The Week. I use this link to sum up my week like a mini diary entry. I am a huge fan of Twitter and Twitter chats and have found lots of bloggers in there. Lots of nods as I read through; learnt lessons in my few months of blogging. The friction between #2 and #5 can be quite sharp sometimes; that’s what I find anyway. I keep telling myself to remember why I started blogging in the first place. Quick question, should their be links to other posts within this? You see to indicate it at different points but there are no links included. When I first discovered linkies, I tried to join in with as many as possible but it is nigh on impossible to be properly interactive when there just aren’t enough hours in the day! So, I’ve scaled it right back and only join in when I know I have the time to visit the other posters. So many great tips. I have just started blogging and have actually only published a couple of posts. I am excited to read more of your tips and hopefully use them to make my blog better. Really good advice, thank you 🙂 do you find link parties beneficial? Thank you. 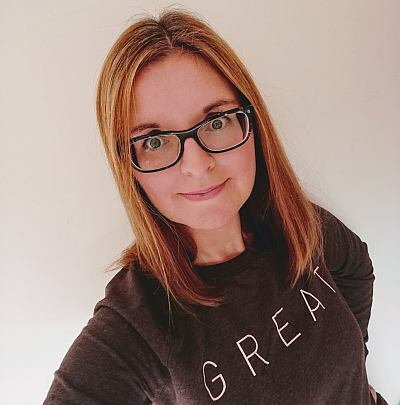 I think for newish bloggers they’re brilliant as they’re a great way of getting yourself known and finding and connecting with others. I would say that you should expect it to take time for your blog to grow. Connecting with like minded people on social media helps but growing a blog readership doesn’t happen overnight. Thanks! Oh yes, that’s very true, good point.